292 pages | 73 B/W Illus. This volume sheds new light on the significance and meaning of material culture for the study of pilgrimage in the ancient world, focusing in particular on Classical and Hellenistic Greece, the Roman Empire and Late Antiquity. It thus discusses how archaeological evidence can be used to advance our understanding of ancient pilgrimage and ritual experience. 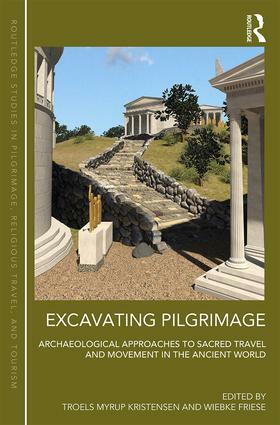 The volume brings together a group of scholars who explore some of the rich archaeological evidence for sacred travel and movement, such as the material footprint of different activities undertaken by pilgrims, the spatial organization of sanctuaries and the wider catchment of pilgrimage sites, as well as the relationship between architecture, art and ritual. Contributions also tackle both methodological and theoretical issues related to the study of pilgrimage, sacred travel and other types of movement to, from and within sanctuaries through case studies stretching from the first millennium BC to the early medieval period. "an important and welcome [volume]"
Troels Myrup Kristensen is Associate Professor of Classical Archaeology at Aarhus University, Denmark. He is the director of the Sapere Aude-project "The Emergence of Sacred Travel: Experience, Economy and Connectivity in Ancient Mediterranean Pilgrimage" (2013–2017), funded by the Danish Council for Independent Research. His research interests are pilgrimage, visual culture and cultural heritage. Wiebke Friese was until recently Postdoctoral Research Fellow in the Department of History and Classical Studies at Aarhus University, Denmark, as part of the project, "The Emergence of Sacred Travel: Experience, Economy and Connectivity in Ancient Mediterranean Pilgrimage" (2013–2017). She has published on oracle sanctuaries and Athenian women’s festivals.